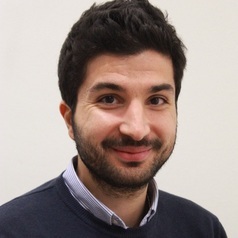 Giovanni Pellegrino joined the Melbourne Institute of Applied Economic and Social Research in August 2016 as a Research Fellow in the Macroeconomics Research Program. Giovanni completed his doctoral studies in Economics at the University of Verona in April 2016. During his PhD studies, he visited the Einaudi Institute of Economics and Finance in Rome, the Queen Mary University of London and the University of Bonn. His research interests are in the areas of applied macroeconomics, monetary economics and macroeconomic uncertainty. His current research focuses on the role of nonlinearities for the transmission of structural shocks. He has published his research in a number of international journals, including European Economic Review, Journal of Economic Dynamics and Control and Economics Letters.